CSA STAR is a powerful cloud security assurance program. It involves thorough auditing, harmonization of standards, and principles of transparency. The CSA STAR assessment is an evaluation report that shows compliance with the industry’s best practices as published by CSA. The program has many benefits such as the indication of having the industry’s best practices and superior Cloud security. We help both users and providers of Cloud services assess their CSA STAR security compliance. Any company that uses, provides, audits, or secures Cloud services need to be assured of Cloud security by a third-party source. This is where Venkon comes in with the right CSA STAR security assessment tools and expertise to test and ensure that you are doing your part in keeping the cloud ecosystem secure according to the industry standards. All Cloud service users and providers are encouraged by CSA to complete the security assessment process which addresses the most important and urgent security questions about Cloud services. After an independent assessment by a third party company such as Venkon, the Cloud service provider is awarded CSA STAR Certification. This important certification shows compliance with the ISO/IEC/ 27001 management system standard requirements. Certification also shows compliance to CSA Cloud Control Matrix which is a measure of the Cloud service’s capability. Having the STAR Certification gives your prospective customers that you have an advanced knowledge and understanding of security controls in your Cloud service. What is CSA STAR Security Assessment? CSA STAR is a leading security assurance program in the Cloud. The STAR program involves key principles of transparency, thorough auditing, and standards harmonization. The program comes with numerous benefits including best security practices and validation of levels of security in Cloud offerings. CSA STAR assessment, therefore, is an evaluation report that shows how your security system complies with the CSA recommendations. Our Venkon CSA STAR security assessment service helps to maintain the security of your Cloud ecosystem according to the recognized industry standards. What are the STAR levels of assurance? The Cloud Controls Matrix (CCM) which is a meta-framework of security controls in the Cloud. CCM gives organizations and businesses the structure and clarity for information security in a Cloud computing environment. It is considered in many security circles today as the de-facto standard for Cloud security compliance and assurance. The Consensus Assessments Initiative Questionnaire (CAIQ) which is based on CCM but with a Yes/No question targeted to the Cloud consumer. It is used to show compliance with the Cloud Controls matrix. The CSA Code of Conduct for GDPR compliance which is a tool created by a collaboration between industry experts and the EU National data protection representatives to satisfy that Cloud providers abide by the GDPR requirements and rules. Our CSA STAR security assessment service helps you to unravel the technicalities and other complexities involved in the process of maintaining the security of your Cloud ecosystem according to the recognized industry standards. Why do I need CSA STAR security assessment services? Every Cloud service provider and user is normally advised by CSA to do a security assessment that evaluates the security level of the Cloud services. An independent assessment by a third-party company like Venkon is necessary before the Cloud service provider can be awarded the CSA STAR Certification. The certification also indicates that your Cloud service complies with other standards such as the ISO/IEC/27001 management system requirements and the CSA Cloud Control Matrix, which measures the capability of your Cloud service. When you have a STAR, Certification shows your Cloud services customers that you have better understanding and knowledge about Cloud security controls. Venkon helps both providers and users of Cloud services to assess if the service complies to CSA STAR security standards. 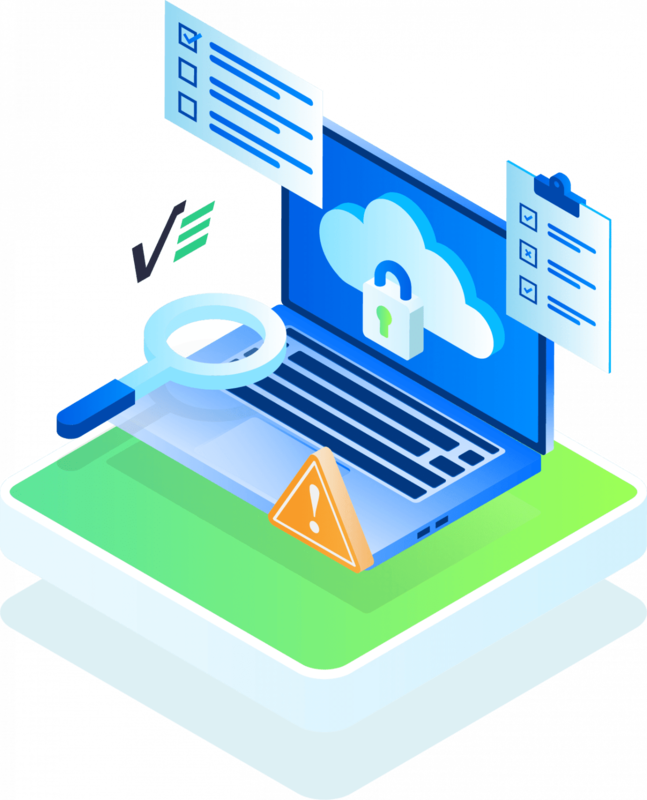 All companies that use, provide, secure, or audit Cloud services are required to be assessed and assured of their Cloud security by a third-party company such as Venkon. We have the required CSA STAR security assessment knowledge, tools, and expertise to assess and determine how good you are playing your role in keeping the Cloud ecosystem secure as per the industry standards. Feel free to contact our friendly customer support team to find out how we can help you achieve CSA STAR compliance and certification.